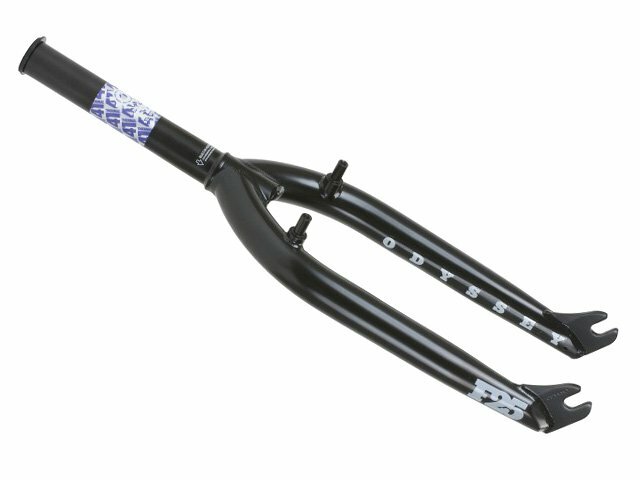 The Odyssey BMX "F25" BMX Fork - With Brake Mounts is perfect for fans of the use of front brakes. A front brake often has a touch of oldschool parts but this fork has the newest and best BMX technique inside. The Odyssey BMX "F25" BMX Fork - With Brake Mounts of course has enough room for pegs and is super solid.